It’s hard to beat the elegant good looks of chrome wire wheels. 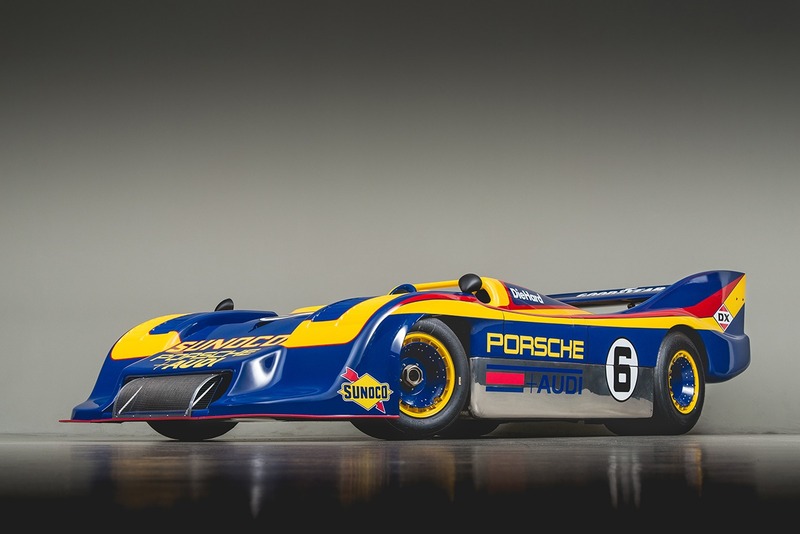 This probably explains why they were fitted to so many of our favorite classics, although many more cars left the factory without wire wheels than with them. Fortunately, it’s often a simple matter to convert cars to run on these wheels, especially if the cars came with wires as an option. We did a wire wheel conversion on our Triumph TR6 using parts sourced from Moss Motors, and the entire project took less than an afternoon. This step is fairly self-explanatory: simply remove the old wheels and put them aside. 1) The stock studs can be cut down so only 5/16-inch protrudes from the face of the hub. If you’re going this route, remember that the studs will need to be replaced with new ones before the stock wheels can ever be reinstalled. 2) The other option is to remove the hubs so that the stock studs can be replaced with shorter ones. A hydraulic press is needed to install the new studs. (Hint: Moss stocks the shorter, wire wheel-spec studs.) Now the wheels can be physically bolted to the hubs. Note that the hubs are threaded so that the knock-offs won’t loosen themselves as the car drives down the road: The left-side hubs have a right-hand thread pattern, while the right-side hubs feature a left-hand thread pattern. Now it’s time to put the mounted and balanced wire wheels on the car. Apply a light coating of silver anti-seize to the splines and install the wheels. Each one is simply held in place with the center nut. A lot of wire wheels have been in service for 50 or more years, and these components do age: splines become worn, while spokes loosen or go missing. If the hubs have worn splines, simply replace the unit. Wheels can be rebuilt, but it is sometimes just quicker and less expensive to replace them, too. Worn wheel splines are usually a sign that it’s time to replace the entire wheel. You said that you either need to cut the wheel studs down or press in shorter ones. You missed one. Simply use a thin spacer the thickness of which equals the amount you'd need to cut down the studs. 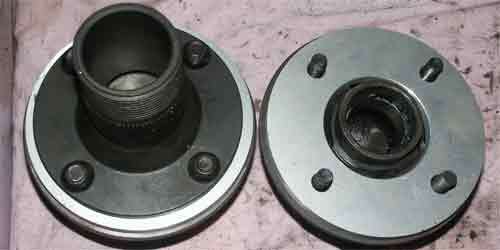 These are Triumph wire wheel adaptors on MGB hubs (fitted to an GA, but that isn't relevant) with such spacers. Most British classics can be converted to wire wheels, and each car has its own solution. Austin-Healey 100 & 3000: Use hubs and wheels from a wire wheel-equipped model. New hubs and wheels are still available. Jaguar XKE: Replacement wire wheel hubs and new wire wheels are still available. 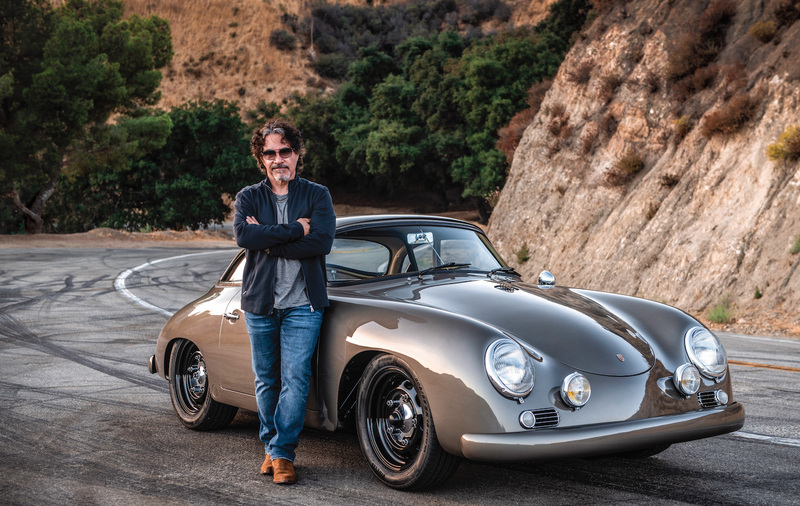 MGA: You’ll need to find the rear axle from a wire wheel-equipped model, or Moss offers a conversion kit that works with the stock disc wheel-equipped rear axle. MGB & MGB GT: Again, wire wheel cars used a different rear axle, but Moss also has a conversion kit that works with cars originally fitted with steel disc wheels. The kit includes the hubs as well as the required replacement front wheel bearings. MG TC, TD & TF: A full wire wheel conversion kit is also available from Moss that includes the wheels, hubs, brake drums and hardware. An adapter for the spare tire is also included. 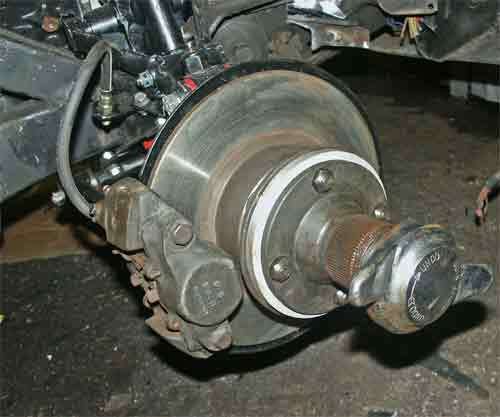 MG Midget & Austin-Healey Sprite: Use the wheels, hubs and rear axle from a wire wheel-equipped Midget or Sprite. Triumph TR2-TR6: As we found with our TR6, Moss offers the wheels and associated parts needed for a full conversion. 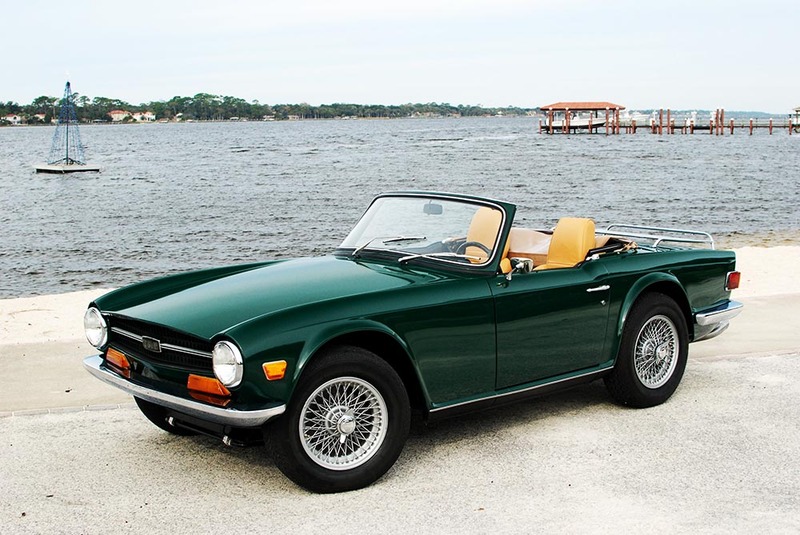 Triumph Spitfire & GT6: Use the wheels and hubs from a wire wheel-equipped Spitfire or GT6.